Today we expect efficiencies and high quality products with convenience and price. With new buildings and homes going up overnight, attractive landscaping solutions are expected. 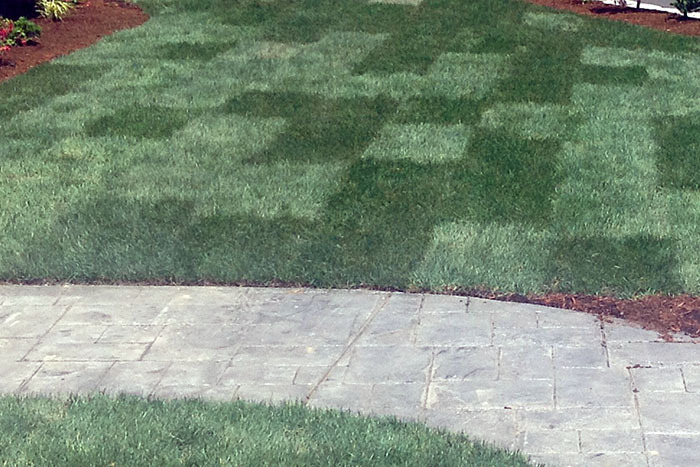 With sod, you can skip waiting for the right season to plant and the 1-2 year wait for a beautiful lawn. Not to mention the maintenance and possibility of having to reseed the area. High quality sod can be installed in hours with instant results. Sod establishes itself quickly, within a couple of weeks it is ready for full use. Whether you need to turn your lawn around for increasing your property value quickly or just want to give your lawn a face lift, consider our high quality sod as a solution with short installation turnaround, instant use and little or no maintenance to establish the sod. With sod, you can rest and relax, your lawn requires no special attention because it is a healthy mature lawn before it is even established on your property, where as a seeded lawn can take years of nurturing to reach maturity. After you or your landscape company installs your sod lawn, just water, mow and fertilize as needed, and it will remain a green healthy lawn requiring very little maintenance. Far West Turf Farm, LLC offers sod for sale for delivery to Portland, OR and SW Washington. We have one of the finest blends of sod in Portland Oregon and you can find information on our website about installing sod yourself. For over 25 years we have been growing sod and servicing retail & commercial customers from Castle Rock, Washington to Oregon City, Oregon-including the greater Vancouver and Portland Metro Area. Far West Turf Farm offers you one of the finest blends of perennial rye grass varieties available, grown from seed produced in the Willamette Valley, all in an effort to leave you, our customer, with a premium quality lawn to enjoy. Far West Turf Farm is proud to be the only sod farm in Southwest Washington offering pick-up and delivery of high quality sod to businesses and homes in Vancouver, WA and Portland, OR. Far West Turf Farm offers an affordable solution for wholesale landscape materials and turf and sod installations serving Oregon and Washington States. If you are looking for sod or turf for your home or business, consider Far West Turf Farm. With our experience and expertise we have been supplying consumers and landscapers throughout Portland, OR and Vancouver, WA for over 25 years. Let us be your supplier of hearty lawn solutions and landscaping materials. We are proud to be one of the only full service landscape supply and sod farmers in Washington. Far West Turf Farm is a family owned business, supplying the local area with landscaping supplies and fresh farm grown sod for over twenty five years. We use hearty hybrid sod designed specifically for the northwest climate and conditions. Our sod is grown in meshed net for support and ease of installation and comes in 5 square foot increments.